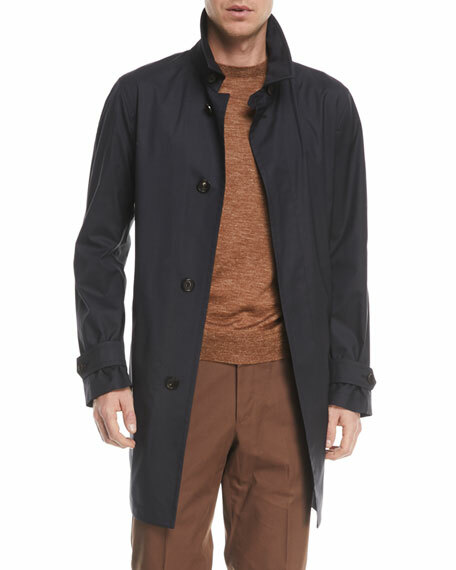 Ermenegildo Zegna traveler jacket in lightweight weave. 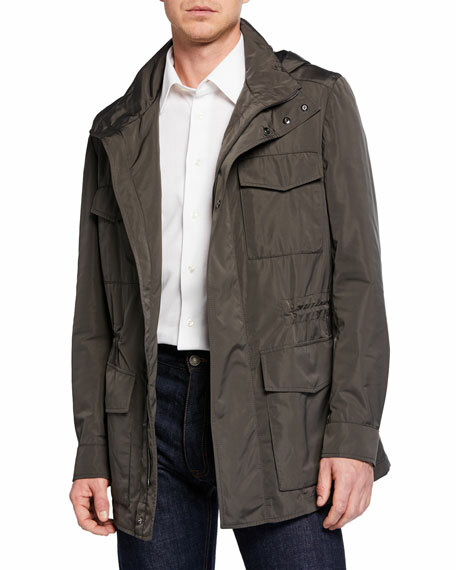 Brioni safari jacket in silken tech fabric. Stand collar with packaway hood. Snap-placket hidden zip front. Tab-adjustable barrel cuffs. Four front flap pockets. Interior drawstring at waist. Straight hem. Polyester/silk. Made in Italy. 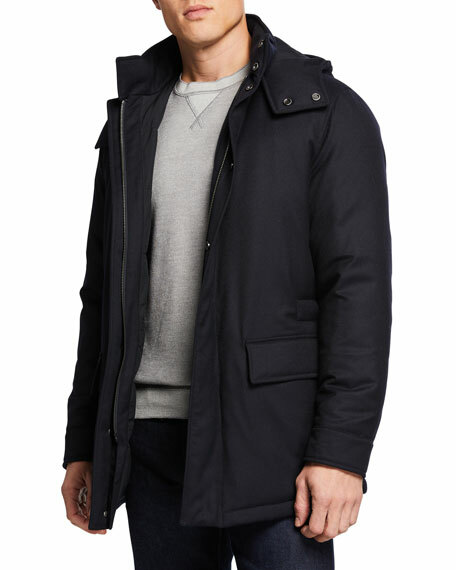 Ermenegildo Zegna coat in flannel with removable hood. 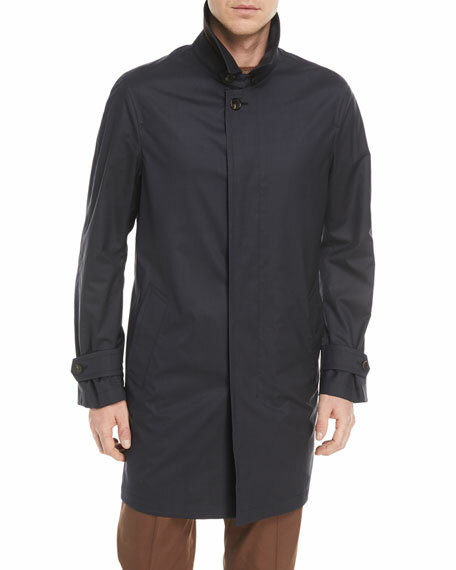 Stand collar; snap-placket hidden zip front. Hidden snap barrel cuffs. Hidden drawstring at waist. Flap pockets at hips. Straight hem. Wool; calf leather trim. Fill, 90/10 goose down/eiderdown. Made in Italy. 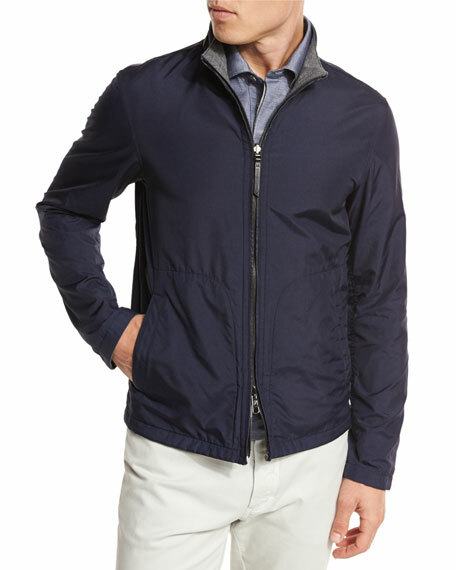 Ermenegildo Zegna blouson jacket in microfiber reverses to heathered jersey knit. Lambskin leather details, including logo-embossed zip pull. 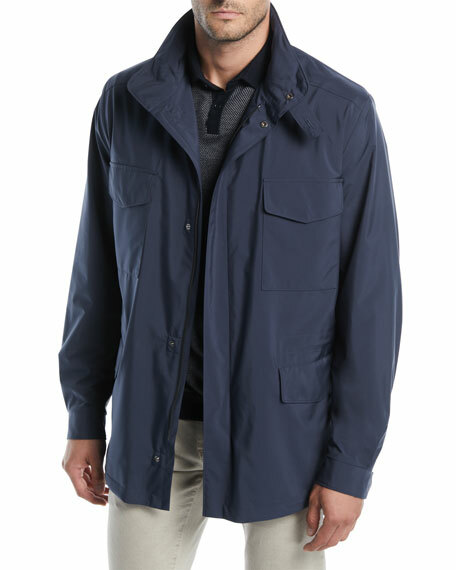 Stand collar; full two-way zip front. Large side-entry pockets. Nylon/polyester. Reverse, polyester/cotton. Made in Italy.